When I was in my teens I had the good fortune to participate in Christopher Elton’s masterclasses at Downe House summer school. One of the things he got me to do was to play the left hand part with two hands, to make an arrangement that was technically far easier to manage so that I would be able to recreate the sounds the composer envisaged with reduced technical difficulty. I could use the two-handed version as a crib, an aural role model for the one hand to aspire to. I heartily recommend this way of practising! Play the two-handed version in alternation with the one-handed (intended) version, aiming to make the single hand sound as good, if not better, than the hands together. The two hands teach the one hand how it’s done. There are a few more applications of this way of practising, especially good for memorising. Take the music written in the bass stave, for example, and make an arrangement using two hands. There will be more than one way of achieving this, and it will be good practice to exhaust all the possibilities. I stress the bass stave only because it is often hidden from active listening by the right hand which is above it not only in terms of pitch but also in musical importance, but of course do this with the contents of both staves. There aren’t any hard and fast rules to this really – try to retain the integrity of a line by playing it in one hand if possible but even this is not necessary. 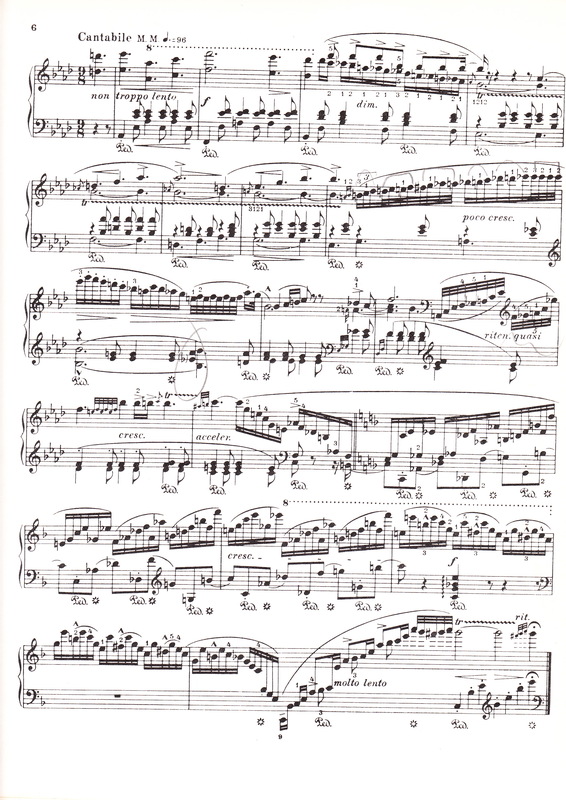 Have a close look at a score and you will very often find that the notation is “stems up, stems down” – the composer, even within one hand, tries make the content clear. I like to use this technique also in music where in a single line more than one voice is implied, Bach being the supreme example. His suites for solo violin, or cello, or flute baffle the ear by illusion. You are actually only hearing one line but Bach makes believe there are at least two. Take a complex line and divide it into its component parts using both hands. While we’re about it, I have been known to confuse a student hoping to find revelations to Chopin’s Etudes (or revolutions if we’re talking about op. 10 no. 12) by asking for the left hand in, say, op. 25 no. 11, the so-called “Winter Wind”. The main technical difficulties of these studies are usually in the accompaniments, which is what makes them so great. With this study in particular, students tend to practise the right hand for hours on end with scarce a glance at the “easy” left hand, not recognising that the left hand is in fact the meat of the matter, and the right hand the accompaniment. To counter such a blinkered view, I will tend to spend a whole lesson on the left hand of this study, much to the chagrin of the student.